Are you interested in working on genome editing, DNA repair, and organelle quality control in a dynamic lab environment? We are seeking a technician/lab manager and a bioinformatics scientist. Apply at the links below. 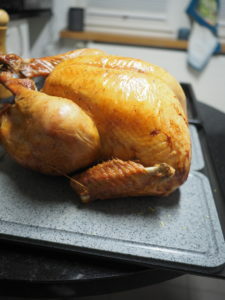 We had an slightly belated American Thanksgiving in Zürich, complete with turkey, stuffing, mashed potatoes, and gravy. After eating more than our fill, we all walked down to a big Weinachtsmarkt for Glühwein. A great start to the holiday season!